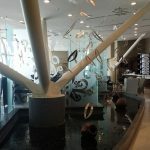 Not Verified | One of the best lounges I have used. Very calm and relaxed ambience. A quiet and peaceful lounge with a comfortable smoking room. Staff attentive and helpful. Restaurant options a little limited but quite acceptable. Lots of high quality seating available. Great food and drink selection. Free wifi. Server was down at first but after pointing out the problems I was having logging on manager at the business centre made few calls and had the server re-booted. Empty dishes and tables cleaned frequently. Shower and restroom facilities spotless. Lounge would be perfect if they had a separate "rest area" with lounge chairs and mobile phone restrictions. 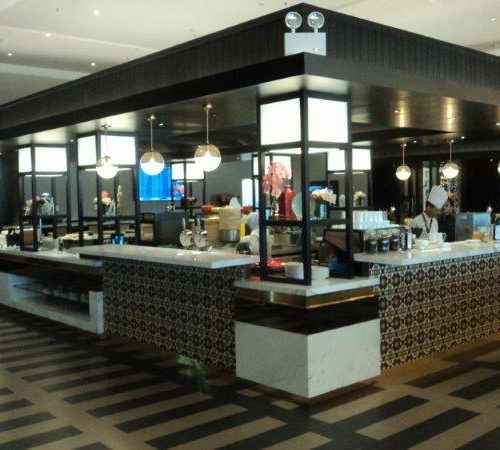 "newly renovated Lounges are fabulous"
✅ Trip Verified | All the three newly renovated Malaysia Airlines Golden Lounges in Kuala Lumpur Int'l Airport are fabulous! The two in Satellite Terminal reopened 1 March this year and the one in the Regional Terminal was renovated in October 2017. Spacious, thematic sections, sports bar, nap rooms, showers, smoking rooms etc. Staff very sociable and welcoming. Good food and drinks. Amazing come-back for MH and KLIA. 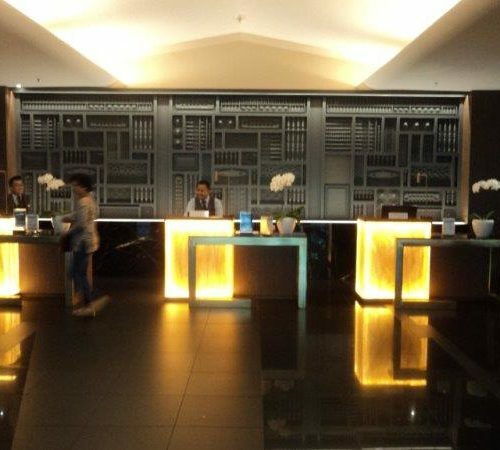 ✅ Trip Verified | It is a well-designed lounge but needs updating. 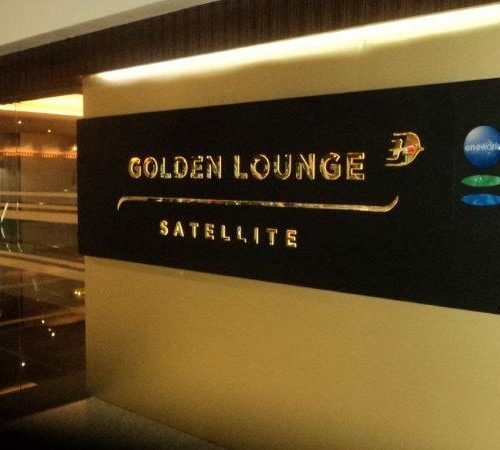 A refurbishment could be due as the main Golden Lounge in Kuala Lumpur (KLIA) is being re-furbished or re-modelled. It is the same type of food on display that I have been seen in previous visits. Perhaps they should increase the variety. 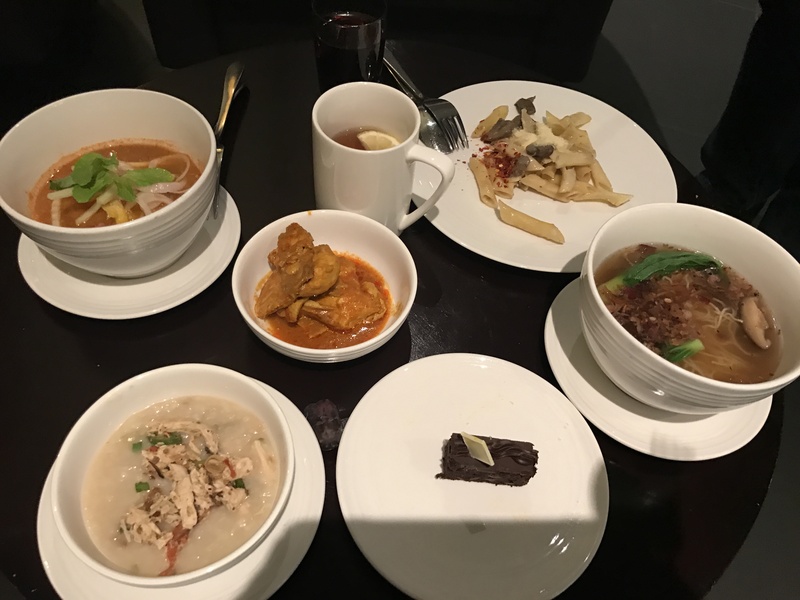 ✅ Trip Verified | Flown from Kuala Lumpur to Medan on business class so had the opportunity to be invited to the lounge. Very good quality lounge although some food could be awful for my taste. Laksa curry which was supposed to be good turned out bland and disappointing. I didn't think I see any shower. Overall service is good and more than average. 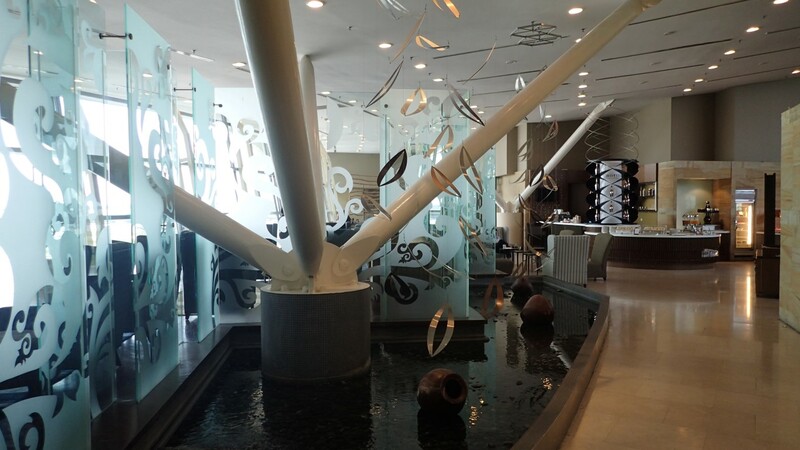 ✅ Verified Review | Travelling as a couple we both felt comfortable and welcome in this lounge. Two visits in transit from Singapore to Tokyo and return. Firstly at around 8.00am when the lounge was about 60% full and secondly at around 5.00pm when it was well under half full. On both occasions the welcome was sincere and not robotic and all staff we interacted with were pleasant and helpful. The breakfast selection was satisfactory but on our second visit the evening food offerings were excellent in both choice and freshness. My partner does not drink and all I required was a beer so the small bar area met our needs. Great views of the aircraft and as you enter the lounge immediately to the left after the bar is a smaller area with a few amazing lounge chairs - the pick of the seating areas! If it were not for an ordinary toilet area the score would have been 10 (we did not use the showers). 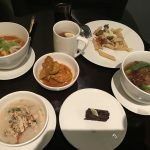 In a trip that involved the QF lounge in Sydney, Premium Plaza in Singapore and JL Sakura lounge in Narita (see other reviews) this was our favourite. "lounge has seen better days"
✅ Verified Review | Sad to say that this lounge has seen better days. It is still quite comfortable and affords great views over the airport and runway. However the showers are certainly not very good, I wouldn't use them when I was there, shabby and not very clean. The toilets were the same. The food was just about passable but unfortunately no fresh coffee, just coffee vending machines. Plenty of news papers and magazines. The bar is on the left hand side as you enter but it in my opinion was not the type of place one would take their wife/partner. No comfy chairs just a few tables and hard seats. The staff did try to keep the lounge tidy but I suspect that there was not enough of them to keep on top of things. It all looks like MH is cutting back on everything. They used to be quite good especially when they had their first A380's but now they are trying to off load even them (they too need a refit). Next time it's going to be Singapore Airlines and then back up to KL. 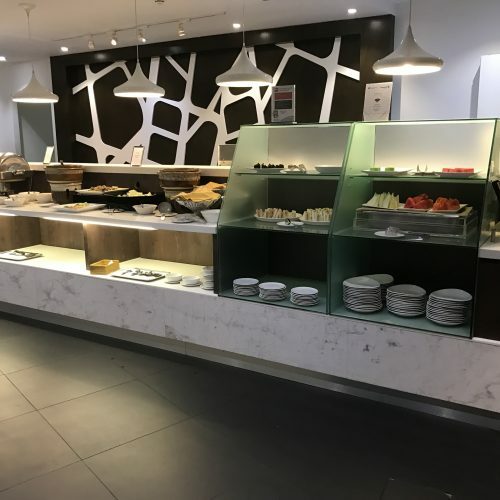 "don't feel happy in this lounge"
✅ Verified Review | Based on business class ticket with KLM I had access to this Malaysia Airlines business class lounge although I'm emerald one world. 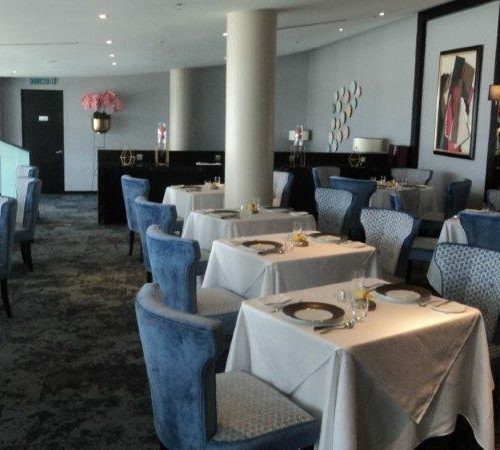 The lounge is very spacious and you can eat and drink although the quality is comparing with other lounges, so so. As diabetic I don't use natural sugar but sweetener in my coffee. I ordered a coffee latte and asked for sweetener. They don't have! Only natural sugar. I asked why not? It's because of cost reduction. I went to the desk and I asked again why no sweetener. I received an other answer: out of stock. I know from my visits before that they don't have it at all. So this manager was lying! Of course it's not a world problem if there is no sweetener but the way how they answer and that they don't organise the sweetener, tells enough about their service. It's the only lounge at a sophisticated airport where you cannot get sweetener I guess. I don't feel happy in this lounge anymore. When people lying there is something wrong with the management. "First Class anything but first"
✅ Verified Review | MAS Golden Lounge First Class was anything but first. Arrived late at 1am and decided to use the nap room to wait until the next morning for my flight to SIN. This is the only positive part of the whole experience, that MAS First has a nap room. (it was spartan and needed a facelift but at least there was one) Lounge was empty when I was there. There was a sole attendant that firstly, questioned if I was eligible for a nap room and then begrudgingly provided the keys to one. No offer of a beverage, etc. He then proceeds to sit right next to the buffet with kitchen hand and chat noisily whilst picking at the food from the buffet with his bare hands! Took a shower in a shared washroom. No shower attendant, some shower stalls had no amenities, overall clean condition but also needs a facelift. Nap room was fine, and slept for about 3 hours. This is where the experience goes from below average to downright terrible. Woke up at 6am, no attendants in sight. Hunt one down to return the keys and get my boarding pass. Expressionless and zero hospitality from the attendant. Was curtly told, 'Wait here.' and then subsequently, 'Here you go.' Sat in the first dining room for breakfast for 10 minutes, attendants were noisily chatting in the backroom, two other guests come and sit down as well, ZERO service, not a waitstaff in sight. No offer of drinks, menu. Dining room has 3 tables seated but no service staff. After 10 minutes decide that this is ridiculous and complain to front desk. No response from front desk other than a shrug of the shoulders. 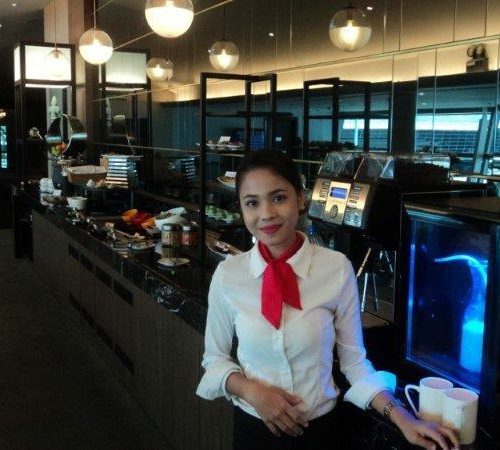 Decide to go into the business section of the lounge which had a breakfast and noodle station. Fresh coffee made by friendly barista. Definitely leaps and bounds compared to their first lounge. MAS, if you can't be bothered with a first lounge, just shut it down and focus on doing the business lounge better. Absolute disgrace. 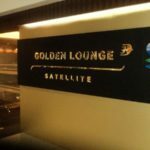 ✅ Verified Review | The Golden Lounge in the satellite terminal at KLIA is great, plenty of space good seating areas and lots of different food options, We always go when we have a long connection on our outbound and on inbound flights. Plenty of staff clearing food dishes and replenishing the trays. Both Malaysian and western meal options, I had a great chicken chasseur and potatoes. Staff have been friendly. 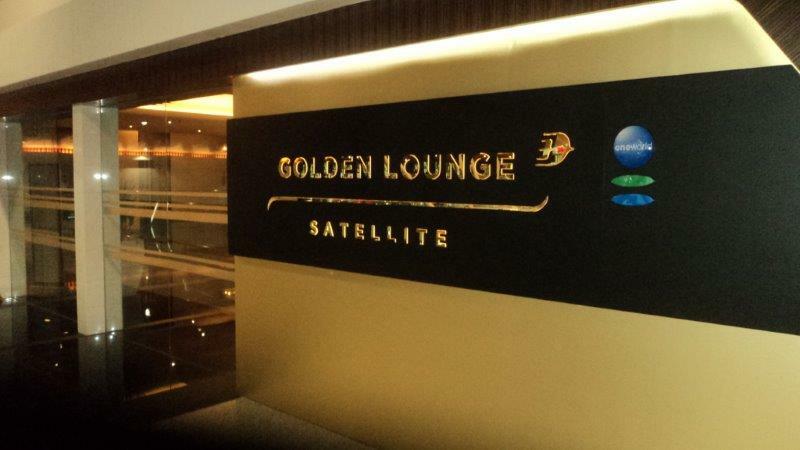 ✅ Verified Review | Overall average performance at this Domestic Gold lounge, up to the standard. The food was cool, but there was 2 active store with wantan noodles and laksa, the majority local food. A simple interior design with limited facilities for domestics lounge.